U.S. Rep. Bruce Poliquin submitted legislation to Congress on Monday seeking to limit President Barack Obama’s ability to designate national monuments without first receiving approval from host governors and state legislatures. Speaking in a telephone interview, Poliquin said for the first time that he opposes granting national monument status to 87,500 acres east of Baxter State Park. He said a national monument designation would draw significant opposition from Katahdin region residents who oppose making a national park and recreation area of the same parcel. The bill was submitted at 7 p.m. A White House spokesman declined to comment on Monday. “This action demonstrates that he is just like Gov. [Paul] LePage, and he is willing to throw away good economic development and hundreds of millions of dollars of investment because he hears from a small local minority,” Farmer said Monday. Poliquin responded by questioning whether a monument or park would do what its proponents claim. The national park proposal, advocates have said, would create 450 to 1,000 jobs, be buttressed with a $20 million endowment and another $20 million in fundraising to handle park operating costs while not impinging upon the state’s forest products industry. All national parks have contributed positively to their areas, Farmer said. But with parks, “Hunting, mining and consumptive activities are not authorized,” while monuments are much less restrictive. If it passes, Poliquin’s bill could delay the designation of a national monument until at least 2018, the end of LePage’s term. An opponent of the park and national monument, LePage sent a letter to Obama and Maine’s federal delegates dated Aug. 28 warning that a national monument designation on Roxanne Quimby’s land would harm Maine’s economy and forest products industry stalwarts. The Obama administration has opposed previous congressional attempts to reduce the executive order powers granted the president under The Antiquities Act of 1906. Officials have argued that presidential authority has bolstered the National Park System while protecting vital elements of the nation’s heritage. The bill from Poliquin will follow legislation offered by U.S. Sen. Lisa Murkowski, R-Alaska, in February 2015, the Improved National Monument Designation Process Act. The bill seeks congressional approval of national monuments and restrictions on their use, as well as approval from those states’ legislatures. It is pending review by the federal Committee on Energy and Natural Resources. 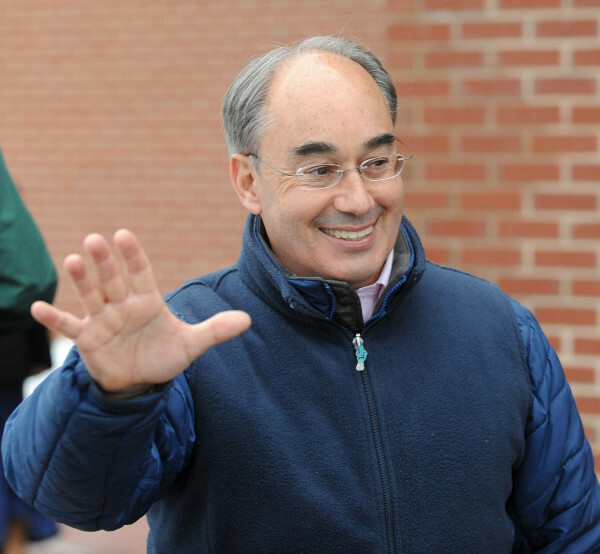 A four-page letter to Obama dated Nov. 20 signed by Poliquin and U.S. Sens. Susan Collins and Angus King said that Obama was considering using his executive authority to create a national monument from lands owned by the family of entrepreneur and environmentalist Roxanne Quimby and her son, St. Clair. The White House has declined to comment on any plans the president might have. The letter said the three representatives have “serious reservations” about a national monument, which they said would likely antagonize already divided communities near the Quimby lands. The state’s fourth delegate, U.S. Rep. Chellie Pingree supports the park. Poliquin will begin seeking co-sponsors to his bill on Tuesday, he said.